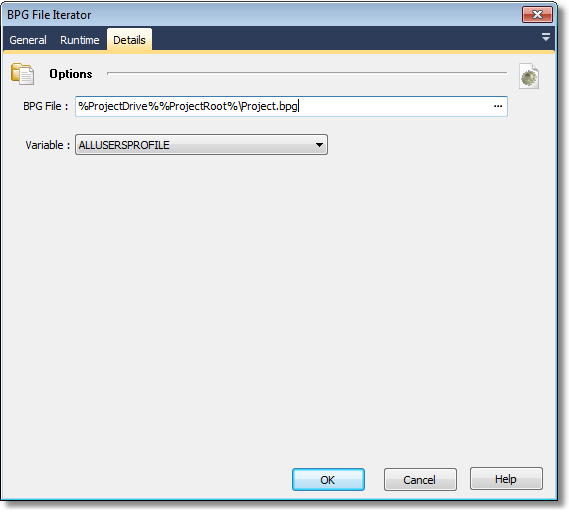 The BPG File Iterator action will run each of it's child actions for each project found in the specified Embarcadero Project Group (bpg) file specified. Variable - this variable will be set to the project file for each iteration. So you would use this variable in the child actions to perform some function (eg. Compile the project, or check it out of your version control system for example).